The City of Detroit has contracted with two firms to provide collection of garbage, bulk items, yard waste and recycling services. The contractor for the west side of the city, including all of Boston-Edison, is Advanced Disposal. The city of Detroit will send you text message reminders the evening before each pickup of curbside trash, recycling, bulk waste, and yard waste. To sign up for text message reminders, text your street address to 313-800-7905. Garbage pickup is on WEDNESDAY of every week for the entire Boston-Edison area. Residents should put all trash into their black Courville container. Only one container is allocated per household, unless the homeowner pays an extra fee. The container must be placed curbside prior to 7 a.m.
Pickup of bulk trash is THURSDAY of every second week for the entire Boston-Edison area. Bulk trash pickup runs year-round. Bulk trash must be placed curbside prior to 7 a.m. Learn more about bulk trash, and the difference from yard waste, here. Pickup of yard waste is THURSDAY of every second week, on the same day as bulk trash pickup. Yard waste pickup runs approximately April 13 - November 30. Yard waste must be placed curbside prior to 7 a.m. Learn more about yard waste here. To take part in curbside recycling, residents must sign up online or call (844) 2-DETROIT (233-8764) to request a blue recycling container. There is a one-time fee of $25 for the container. 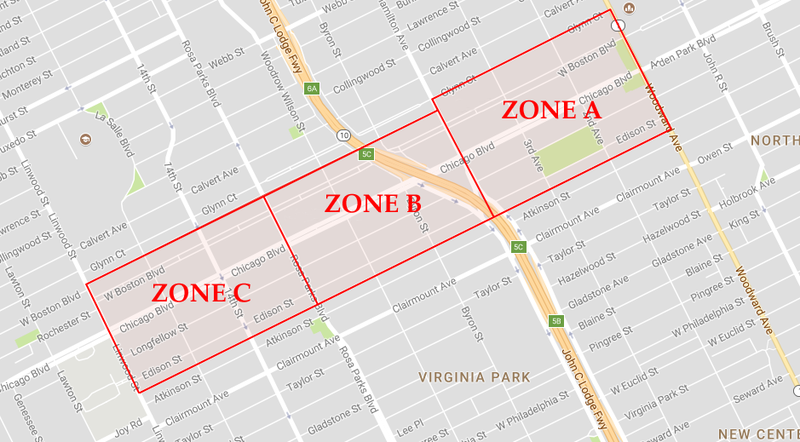 Recycling pickup is THURSDAY of every second week (on the same Thursday as bulk trash in Zone C, and on the opposite Thursday in Zones A and B). Learn more about the curbside recycling program and other recycling options here.